A week filled with glitz, glamour, the Santa Barbara International Film Festival is a beautiful celebration of the art of film making. Join filmmakers, press, celebrities, locals, and adoring fans in the numerous events and showings that take place across Santa Barbara this week. 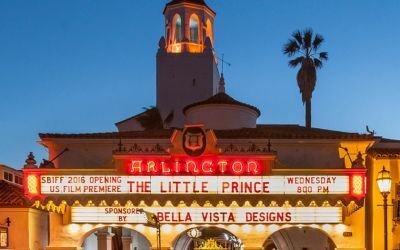 From the historic Arlington and Lobero Theaters, attend a screening or a party and enjoy the buzz around town . For full schedule of events, and more information about this fantastic event, click here.